We are a new and pre-owned Mercedes-Benz dealership in Newmarket, serving and shipping to the Greater Toronto Area. We stock a broad selection of Mercedes-Benz, Mercedes-AMG®, and smart vehicles, many of which are available for our Corporate Fleet Program. We also stock Certified Pre-Owned vehicles. To make owning a Mercedes-Benz that much more affordable, we offer a variety of financing and leasing options. We also help you maintain your Mercedes-Benz with our Service and Parts Centres. 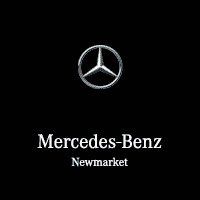 Mercedes-Benz Newmarket takes care of its customers, offering comprehensive services and earning your trust. We value your feedback!